The Honda CTX700N ABS DCT is powered by a torquey parallel twin engine and offers an extremely low center of gravity, making this touring motorcycle the definition of comfort. Reliable and confidence-inducing, this bike brings on the technology as well. An available automatic (DCT) transmission and ABS version provide smooth shifting and strong stopping in less than ideal conditions. Plus, there are always more options for fine-tuning your bike’s looks and functionality through the addition of Honda Genuine Accessories. The CTX700N Automatic Transmission offers incredible technology for simplified operations. With dual clutch transmission (DCT), riders can shift with the push of a handlebar-mounted button, or select the automatic mode and the bike will shift itself. The DCT capability has been a huge hit on other Honda models, and once you ride a CTX700N with DCT, you’ll see why. 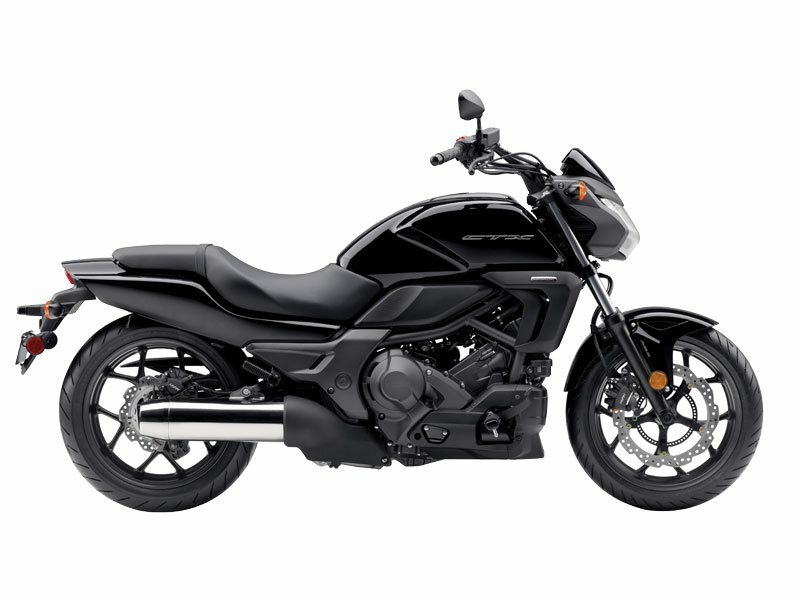 Plus, riders can enjoy Honda’s innovative anti-lock brake system (ABS) for improved stopping in less than ideal conditions. Single front and rear disc brakes give the street bike motorcycle great stopping power. The ABS option in the CTX700N ABS DCT incorporates anti-lock brakes for the best possible stopping power, especially under challenging conditions. After all, you never know what the road can throw your way, including wet streets or sand and other debris on the pavement. It’s that added confidence you need to enjoy your weekend getaway – and not worry about what’s around the corner. Note *Honda's fuel economy estimates are based on EPA exhaust emission measurement test procedures and are intended for comparison purposes only.